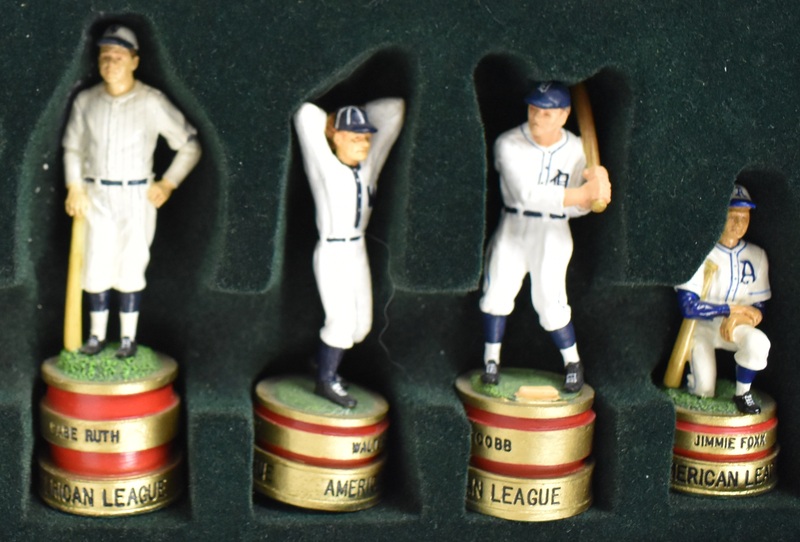 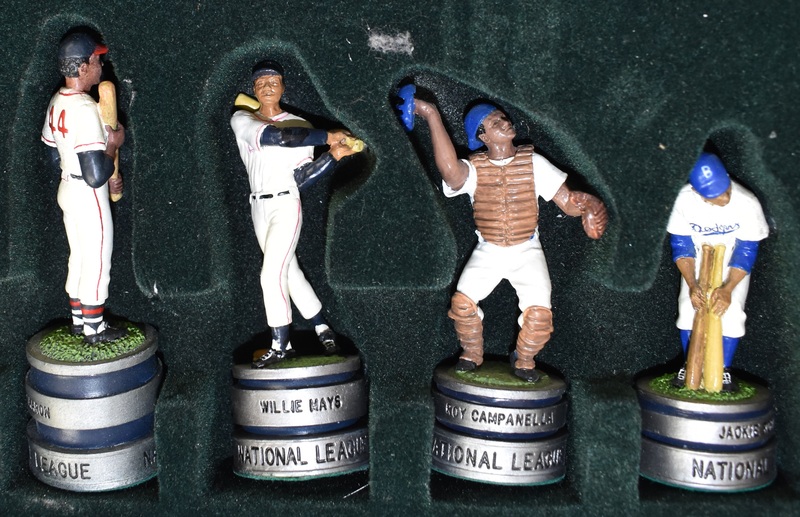 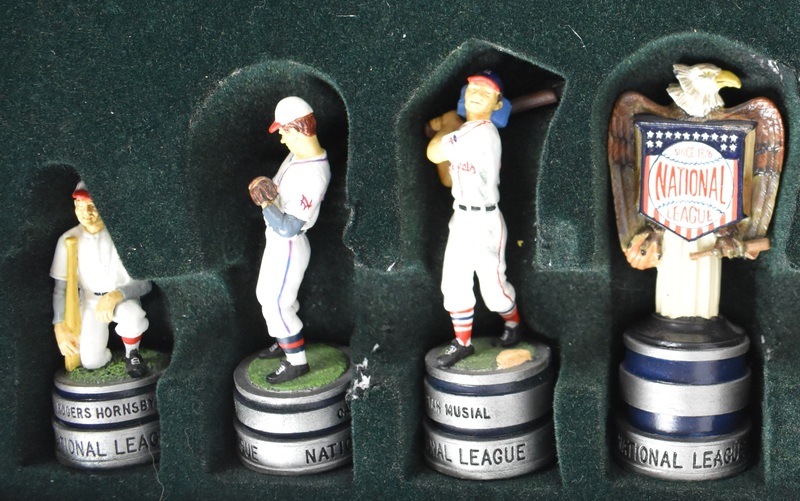 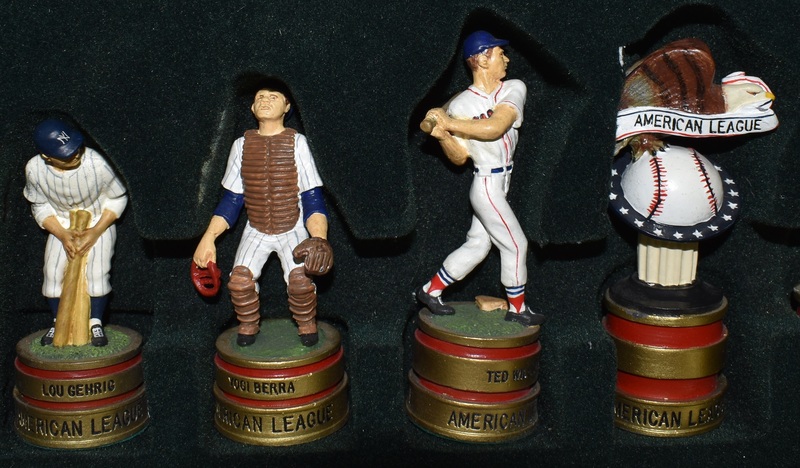 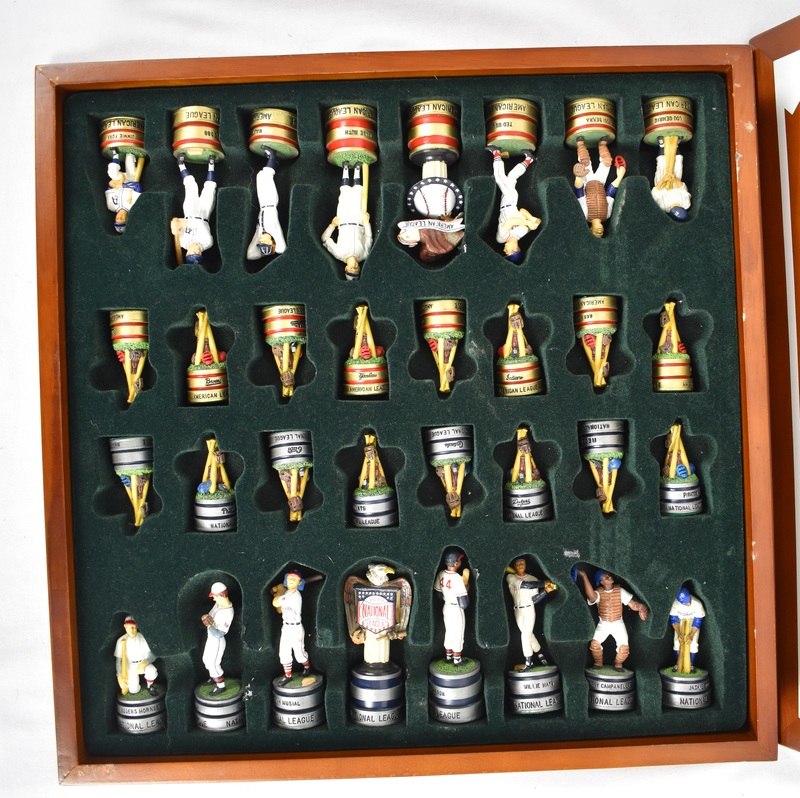 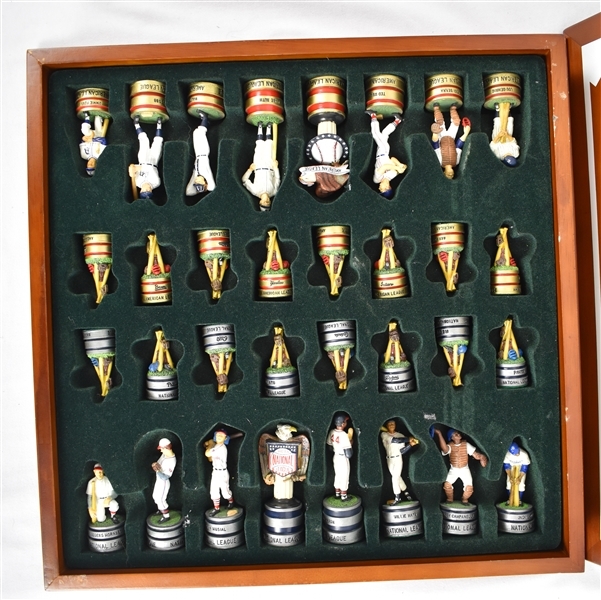 MLB National League vs American League Hall of Famers Chess Set in sturdy wooden box. 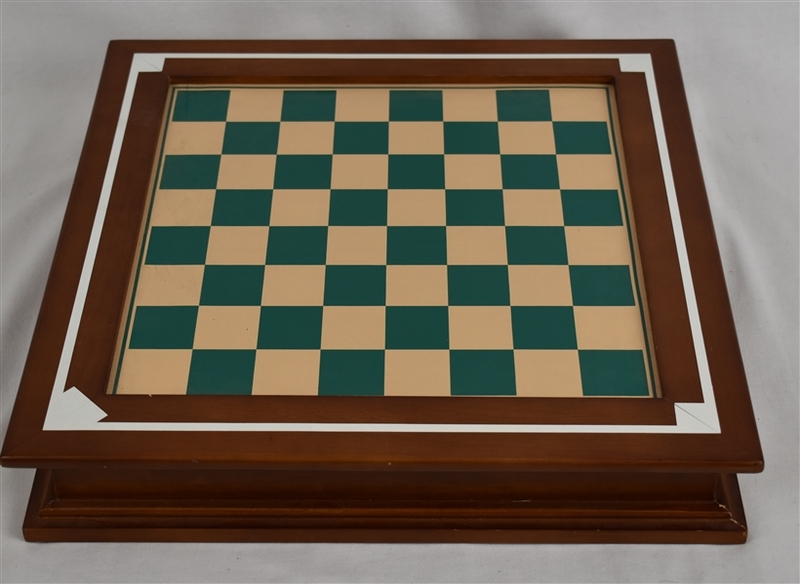 Very attractive chess set as each piece is represented by a baseball Hall of Famer. 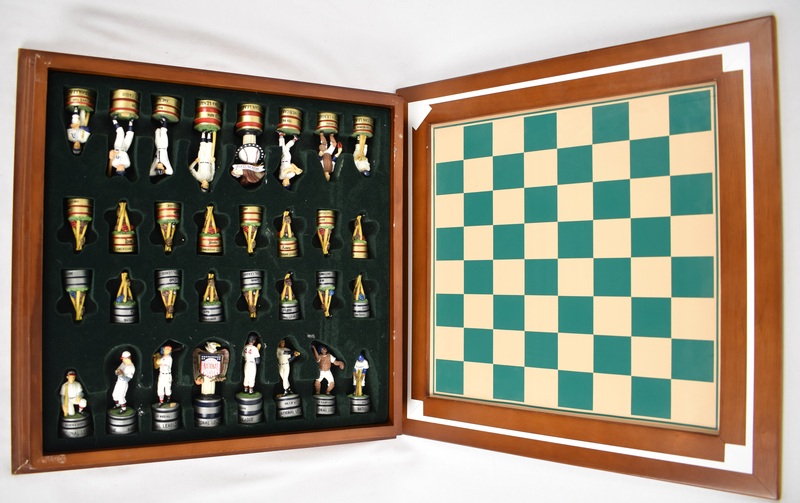 Intricate detail on this attractive collection.